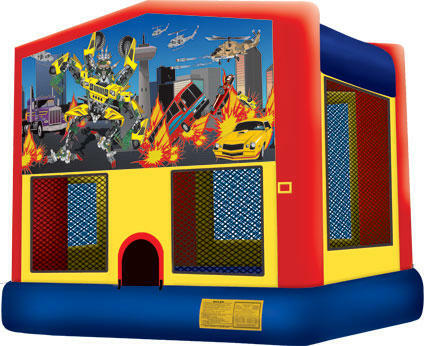 Here you can choose between the exciting 5n1 Modular combo and the classic Modular bounce house. Then you can choose from a variety of theme banners to cusomize your bounce to fit your celebration. 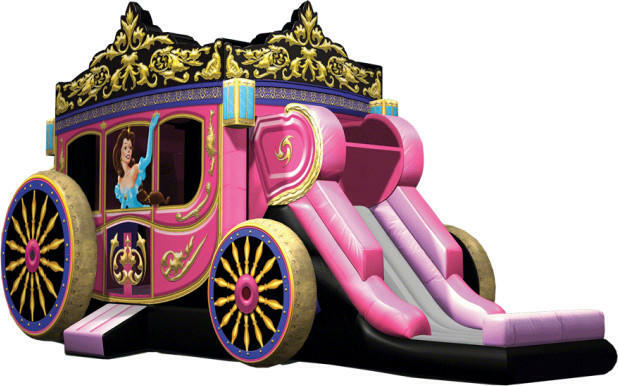 The 5n1 combo features a large bounce area, basket ball hoop, and a fun climb & slide with an exterior exit. 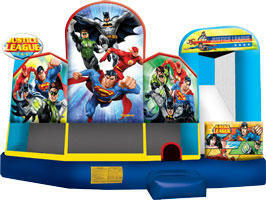 Take a look at a great selection of premium quality combo bouncers. These are best in design and colors and are available for water use or as dry rentals. They also feature basketball hoops for the best in bouncing jumpshots. 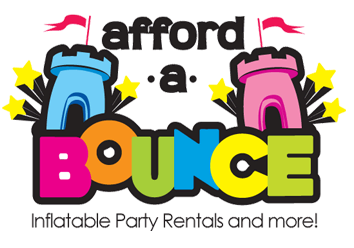 Affordabouncedallas.com has the ultimate bounce and slide combos around Dallas County. 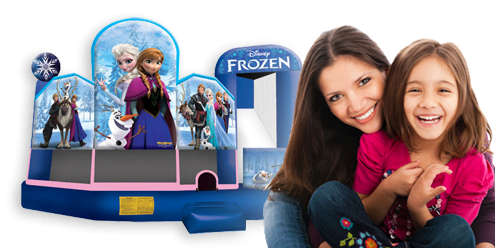 These are the biggest and baddest combos, that feature themes of your favorite cartoon and movie characters, have and have all the best features like big bounce areas, popup obstacles, basketball hoops, and climb & slides.